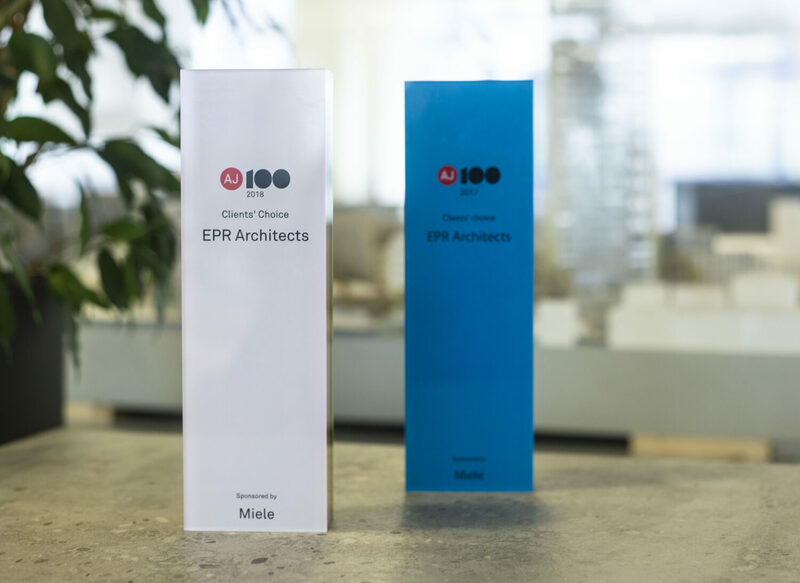 EPR is extremely proud to be crowned AJ100 Clients’ Choice Award winners for the second year running. The practice has also moved up the rankings, hitting the number 16 spot for 2018. As part of the voting process more than 800 clients were asked which architect they would recommend working with and also which architect they hadn’t yet worked with but would most like to work with in the future. "Winning this award not once but twice is a great tribute to the team and goes to show the importance we place on building strong relationships with our clients. It’s been an honour this year to work on some of our most exciting and challenging projects to date and the support and recognition for our efforts is overwhelming. We’d like to extend our gratitude to everyone that voted for us and send a huge congratulations to the whole EPR team."